TOKYO – Honda Motor Co.'s operating profit surged 38 percent in the latest quarter as rising sales, a pension plan adjustment and cost cutting offset foreign exchange losses, prompting the automaker to lift its earnings outlooks for the current fiscal year. Operating profit increased to 228.08 billion yen ($2.25 billion) in the Japanese carmaker’s fiscal second quarter ended Sept. 30, from 164.84 billion yen ($1.63 billion) a year earlier. Net income climbed 39 percent to 177.10 billion yen ($1.75 billion) in the three months, Executive Vice President Seiji Kuraishi said while announcing financial results Oct. 30. Revenue slid 9.9 percent to 3.26 trillion yen ($32.18 billion), even as global retail sales rose 6.3 percent to 2.43 million vehicles in the fiscal second quarter. Honda’s operating profit was buoyed by stepped-up cost cutting efforts that added 55.3 billion yen ($545.96 million) to the bottom line in the three months. A decrease in warranty outlays and other quality-related expenses also bolstered results by another 22.2 billion yen ($219.2 million). But the biggest boost came from a one-time windfall gain of nearly $1 billion generated by Honda’s shift this year to a retirement age of 65 in Japan, from 60 previously. 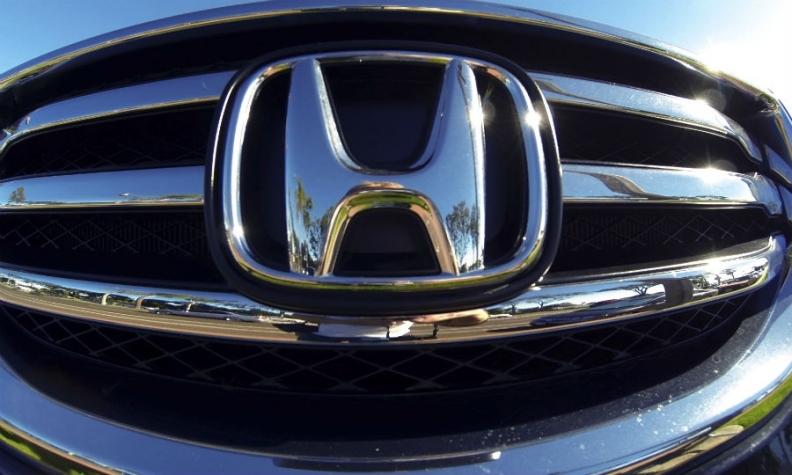 The extended work years defers the payment of pension plans in Japan and saves Honda some 84 billion yen ($829.3 billion) in the current quarter. The dollar’s strength hits particularly hard in North America, which is traditionally Honda’s biggest market and one of the company’s biggest production bases. North America remained a profit center in the quarter. North American regional operating profit increased 1.7 percent to 38.11 billion yen ($276.2 million), while sales advanced 1.3 percent to 479,000 vehicles, from 473,000 in the same quarter a year before. Operating profit in Honda’s European business, however, tumbled 97 percent to a razor-thin 105.0 million yen ($1.04 million) from 3.14 billion yen ($31.0 million) the year before. European sales rose 7.1 percent to 45,000 vehicles, from 42,000 the year before. But the biggest profit drivers remained Asia and the home market of Japan. Looking ahead, Honda boosted its profit outlooks for the current fiscal year ending March 31, 2017, even as the company scaled back its revenue forecast. The pension windfall, cost reductions and higher unit sales will help. Revenue is now forecast to decline 8.2 percent to 13.40 trillion yen ($132.29 billion). It had earlier forecast revenue to decline only to 13.75 trillion yen ($135.75 billion). At the same time, Honda sees net income gaining 21 percent to 415.0 billion yen ($4.19 billion). It had earlier seen net income rising 13 percent to 390 billion yen ($3.85 billion). Honda also improved its global sales forecast. It now expects its global sales to increase 1.3 percent to 4.98 million vehicles, up from an earlier prediction of 4.92 million.